You might notice that we’ve had a little bit of a makeover this month. We’ve been listening to our readers’ feedback about how we can make the magazine look and feel even better, so our art team has worked hard to give the photography and all the pages a bit of a lift. 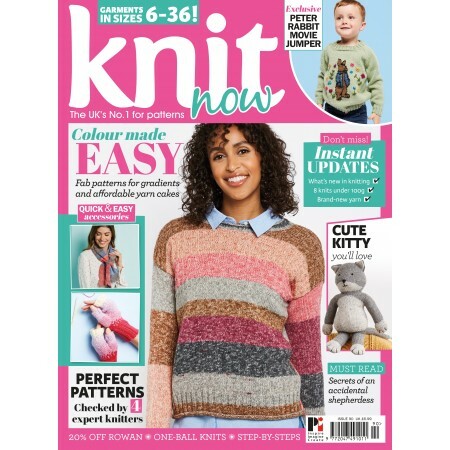 The important things have stayed the same – great patterns, the best size range, easy-to-follow instructions and every pattern checked by four expert knitters. This issue comes with two brilliant free gifts. 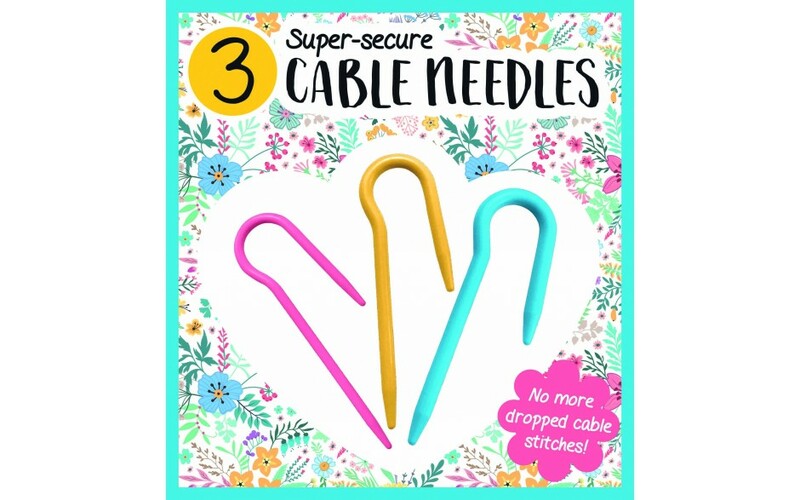 First is a set of three super-secure cable needles – in a hook shape, which makes them easier to use as your stitches won’t slip off while you’re working with them. 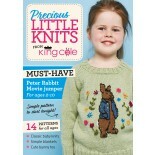 There’s also an exclusive “Precious Little Knits” book from King Cole, featuring patterns your little ones will love. 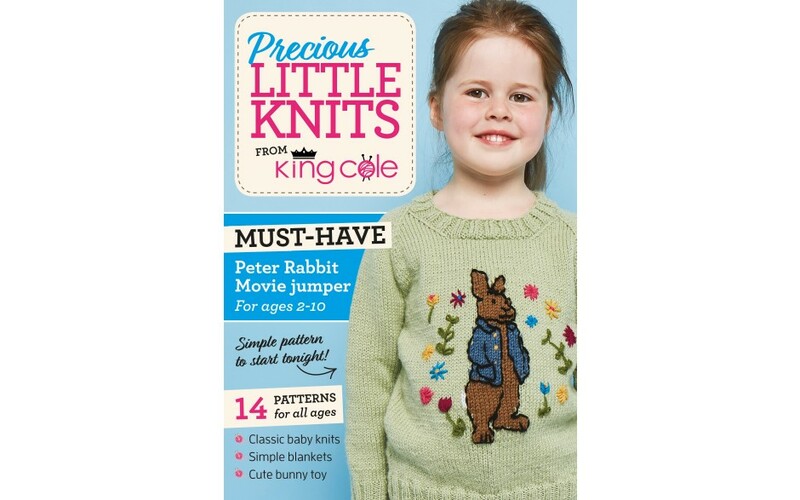 This includes an exclusive Peter Rabbit Movie jumper, featuring everyone’s favourite mischievous bunny. The trend for yarn cakes – delicious balls of yarn with long colour shifts – is still going strong in yarn shops, so this month we’re making the most of it with several patterns designed for some of our favourite cakes. 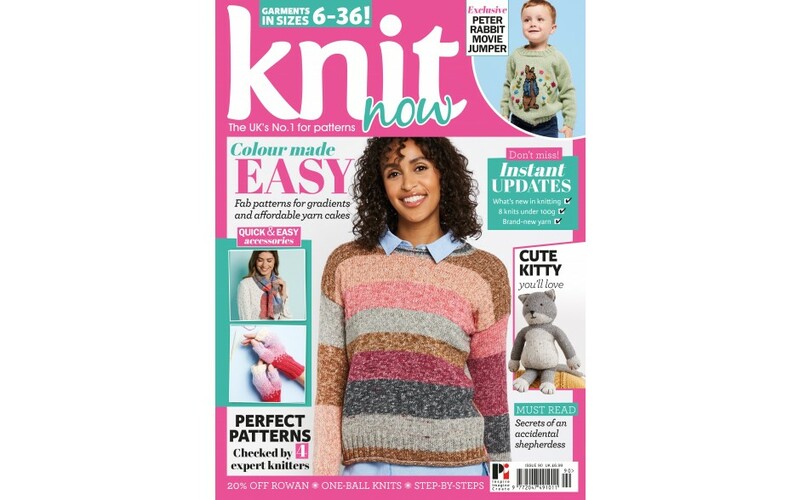 Our cover star comes from the team at Stylecraft, whose Batik Swirl yarn really shines in this simple drop-sleeve jumper. If you prefer something more challenging, Lana Jois has designed a beautiful shawl using a hand-dyed cake yarn from GamerCrafting and I just love it. 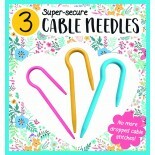 Not sure what to cast on first? We’ve got plenty for you to read while you’re making up your mind. This year Rowan, one of our favourite British yarn companies, celebrates its 40th anniversary. To mark this special birthday, we’ve taken a look at some of the brilliant designers who’ve helped to make Rowan the iconic brand it is today. We’ve also chatted to Jayne Dryden about her flock of Wensleydale sheep and Nic from Yarns from the Plain about her hand-dyed yarn – I just love finding out the story behind the yarn I’m knitting with, and I hope you do too.